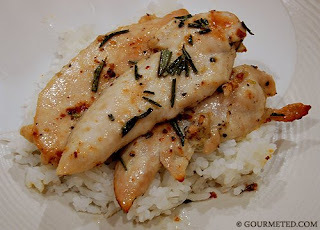 Over at Gourmeted.com, a recent entry features Baked Butter Chicken Fillets. I started eating chicken again after almost 10 years (since I can no longer eat too much tofu), so these days I enjoy discovering new dishes like this one. And at the same time, I'm making sure that the chicken I do eat is organically grown and antibiotic-free. Right now I'm eating chicken adobo from the only(?) Filipino restaurant in town. I have no idea where the chicken's from, but it's delicious. 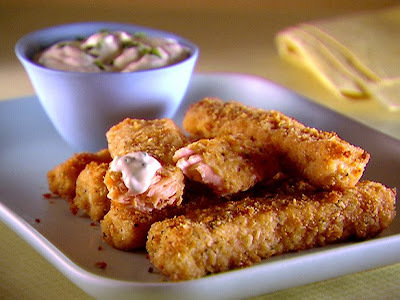 I better learn how to make it. Please feel free to send me your best, true-blue Pinoy Chicken Adobo recipes! UPDATE 06/30/09: I tried the Baked Butter Chicken Fillet recipe today and it was YUMMY! I didn't have lime juice so I used lemon and it turned out great. I also made gravy with the drippings and drizzled it over the chicken. Bon appetit!